Last week, Shyam Mehta of GTM Research wrote a (great) article on the struggles of a tiny American solar device manufacturer caught in the crosshairs of the SolarWorld-led tariffs on Chinese solar panels. The firm, left unnamed to protect its privacy, produces solar chargers for consumer devices such as mobile phones and iPads. One item on the firm's bill of materials, a strip of 18-percent-efficient photovoltaic material, was sourced from a China-based supplier. Long story short, the company now faces retroactive duties of $7,500 on $3,000 worth of product, as well as an enormous challenge in locating an alternative supplier. Since the imposition of the "critical circumstance" tariff, production at the small American company has come to a standstill and employees are being sent home. This outcome -- at an American company, no less -- can't have been the intention of the claimant. Small Steps Solar of Seattle, Washington is a two-person operation that builds consumer products that allow off-grid users in the U.S., Africa, and elsewhere access to PV-powered LED lighting and consumer-device charging. PV-powered LED lighting replaces unhealthy and unsafe kerosene lighting. Here in the U.S., Small Steps' "markets are strong among the rural poor, especially rural residents of Native American reservations who need reliable lighting because they lack electricity in their homes; and among communities that have been impacted by natural disasters that have disabled their electric service and who are in need of reliable and rechargeable lighting and cell phone charging systems." Small Steps imports Pico-PV" from Barefoot Power, an Australian company with a factory in China. "Pico-PV" is an actual recognized category by the World Bank and the International Finance Corporation (IFC). Pico-PV cells and modules typically refer to off-grid systems smaller than 15 watts. 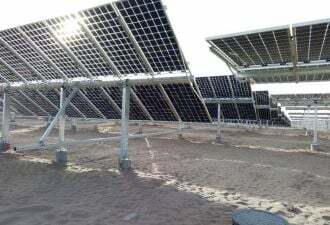 In many cases, and in this particular case, pico-PV cells are constructed from the broken cell or rejected waste products from the manufacture of "power" PV modules. In the words of Small Steps Solar's CEO, "Pico-PV products like ours are made by few U.S. manufacturers." The firm notes that the pico-PV manufacturing process, using broken cells as feedstock, makes documenting the country of origin very difficult. 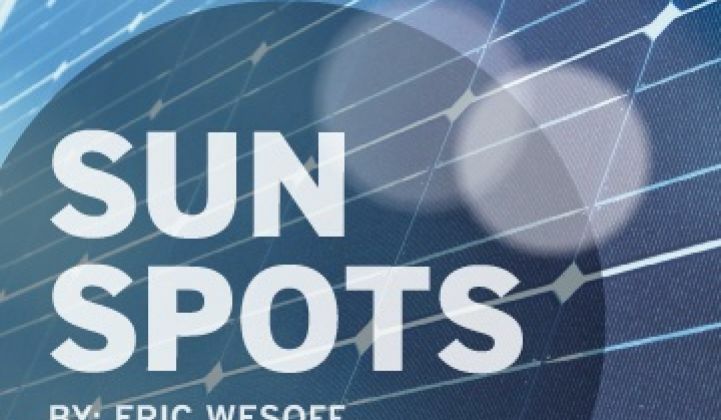 In fact -- and here's the punchline -- most of the cells that Small Steps Solar purchases from Barefoot Power are actually manufactured in Germany by the now-insolvent Q-Cells and are merely assembled in China. Small Steps Solar now faces a duty of approximately $23,000 on approximately $9,000 worth of solar modules totaling 1.608 kilowatts of pico-PV products of six different modules sizes: 1 watt, 1.5 watt, 2.5 watts, 5 watts, 10 watts, and 15 watts. Chris Greacen, the owner of Small Steps Solar, said, "If we have to pay this tariff, it will be devastating to our small company and have a huge impact on the personal finances of our young families as well. Clearly, this is not the intended result of the U.S. Department of Commerce, nor, I believe, of the petitioners." Greacen told GTM in an interview that the duty will effectively cause him to shutter his small business. The Department of Commerce’s preliminary ruling on May 17 imposed anti-dumping tariffs against crystalline silicon cells manufactured in China. The tariffs amounted to 31 percent for companies that submitted documentation to the DOC, and 250 percent for everyone else. Both of these firms' suppliers fall in the latter group. As we’ve mentioned before, Chinese module suppliers can avoid the tariff by sourcing cells from Taiwan at an estimated additional cost of only 6 cents to 8 cents per watt, and still price their product comfortably below that of domestic competitors. Indeed, multiple sources have confirmed that Chinese module prices in the U.S. have continued to trend downward even after the tariff ruling (we’ll be covering the impact of the tariff on costs and pricing in more detail in an upcoming article). As Mehta said, SolarWorld is well within its corporate responsibility to pursue its trade claim. But in Mehta's words, "I have been skeptical from the outset that it will result in any real benefit for domestic module manufacturers." And, as in these examples, its impact will be felt by non-module firms as well.